Lock 50, is a Worcester restaurant located in the Historic Canal District. The creative menu offers a variety of seasonal dishes sourced from, and prepared with, the freshest local ingredients whenever possible. Our bar program includes a carefully selected variety of wines, local craft, imported and domestic beers and fashionable craft cocktails. The Café features a comfortable atmosphere to enjoy casual breakfast or lunch and our coffee program includes only the finest, fair trade organic coffees, expertly prepared for your enjoyment. Special menu was great and food was wonderful! Service was attentive. Thank you! Easter Brunch was our first visit and it was fabulous. All the dishes we ordered were so so good and dessert was too. The service from our waitress Abigail was superb, she always had a smile and very attentive. It is my new favorite and I can not wait to go back! Small but good selection of different courses, very well prepared and presented. Would rate this as one of the better restaurants in the area, but not the best. Prices too high for what you get. Great staff. Overall a nice spot, very quite though. The menu is small but interesting. Splitting small plates amongst the table is recommended over everyone buying individual dishes. The patio igloos are very cool as well. Perhaps my third or fourth time here, both at lunch and at dinner. I just really love this place. Interesting menu, great food, great friendly service. Definitely worth a return trip, and many return trips. Our server, Kaylee, was just perfect for us; fast, smart, helpful, not intrusive. We do wish the table where we were seated was not directly across from the door staff was constantly using to go outside on that cold, windy night. We also wished our many fabulous plates could have been cleared from our table more quickly as we finished them; it was quite difficult to find a place to set the half-finished or totally-finished plates as new ones, and more drinks, arrived. We had a grand time, though, and found the food fantastic and creative, and the staff (maybe you could hire a few more?) wonderful. Great food and excellent wine list. We ate in one of the igloos. It was very comfortable. The heaters worked very well. We have eaten at Lick 50 many times and always have been pleased. We like to share so had a salad, beef carpaccio and mussels. More than enough. I made a reservation and the wait time for everything was excruciating. We waited so long, we forgot we had ordered something else. The concept of igloos is cool, but if your service is awful, we aren't coming back. We went for restaurant week. The food was excellent and the live music was an unexpected surprise. It was a fun night out and will go again. We sat outside in the winter in one of the igloos/domes. What a fun place to eat. The food was delicious and our server was great! We hardly ever saw our server. She never once checked on any of our courses. I also didn’t appreciate that the only way to order off the restaurant week menu was to ask specifically for it. Don’t hang a banner outside your business if you don’t want clientele to order off that menu. It almost feels as if you are being shamed into ordering off the lower priced menu. I dine frequently all over Worcester but had never given Lock 50 a try. My dining partner and I saw it as a good opportunity to sample a variety of items that we expected were dishes that the chef was proud to highlight as representative of the quality of the cuiaine they put out. Instead we received mediocre luke warm food that wasn’t worth the wait or the price tag. We had a really nice luncheon. All three of us enjoyed our selections. I would be happy to recommend this restaurant to others. I had the eggplant sandwich and the others had pastrami. Our waitress was wonderful, as well. Although we had a reservation for noon, it did not fill up until later. The food is amazing, never disappoints. BUT I don't know if it's the kitchen or the staff or both but EVERY time I go there it takes at least 30 minutes to get my food. And the staff always seems to be just standing around, not doing anything. Then when I FINALLY get my food, it's cold. And on top of that every time I go there's only 2 or 3 tables of people. The place is empty. So great tasting food, but be prepared to wait a long time for your cold food. Solid place all around. French press is exceptional. Matt, if you're lucky enough to get him, is possibly the best waiter in Worcester. Went for brunch and food was really good. The atmosphere inside Lock 50 is fantastic, and the host and wait staff were great, but the food was nothing special, especially given the very high price tag. 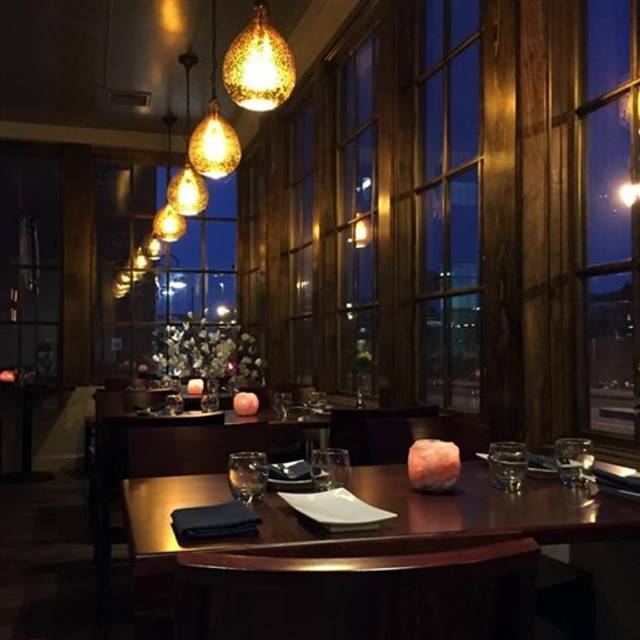 When we visited, it was Worcester Restaurant Week, which was part of our motivation, as it's a great way to try several dishes and an expensive restaurant without breaking the bank. Lock 50's restaurant week menu was the most limited one I've ever seen. Also, if you didn't know it was restaurant week when you came in, you'd never find out because they only gave the restaurant week menu if you asked for one. There two appetizer options for first course, risotto or pasta for second course, and two entrees for the main dish, so my husband and I did one of each item. We'd have been better off ordering off the real menu, I suppose, because let's just say our meals didn't dazzle. The risotto desperately needed salt and the pork entree was overcooked and tough. The surprise winner of the night was the eggplant parmigiana, something I never would have ordered if it weren't restaurant week. It was really well prepared, and I enjoyed it even though I don't particularly care for eggplant. The experience didn't leave me jumping to go back. Most of the real menu entrees were between $25 and $30. At that price point, I need to know for sure my meal is going to be good, and I have no such confidence in this case. I have heard they do a great brunch... I'd be willing to give that a go, but I'm not going back for dinner. Four of us dined here during Worcester Restaurant week. There were pluses and minuses during our visit. The ambiance was nice, with acoustic music and a nice table. The menu has plenty of nice choices. Our server was nice but we had to remind her we never got one of our appetizers and it had to be removed from the bill. The timing of the food was off. The scallop appetizer was delicious as was my husband's mussels dish and flat bread. My sister and I enjoyed our Restaurant week courses until the last course which was Eggplant parm. I have ordered this dish numerous times at numerous restaurants. This was the worst I ever had. Our eggplant was thickly cut and very tough with very little taste. That was a big disappointment. This place was really nice, the cocktails were yummy and had nice live music in the bar. However, it took a long time to get our food... and the food was fine but nothing special. We had a great time. Getting an igloo added to the experience. Food was delicious. Four of us had dinner Friday nite. Really enjoyed trying different menu items. Everything we tried was delicious. Fried brussel sprouts, mussels, pear with goat cheese, and many other items were all wonderful. Our server was extremely helpful with explaining menu items and checking on us. We will be back. We sat in an igloo & had a great time! Our server was still very attentive, despite the situation of the access to the igloo. Love this restaurant it’s the most interesting place in Worcester! Enjoyed our meal. We had the mushroom risotto, sea scallops and beef carpaccio. All of them were excellent. We look forward to returning for another meal. Everything was absolutely amazing! 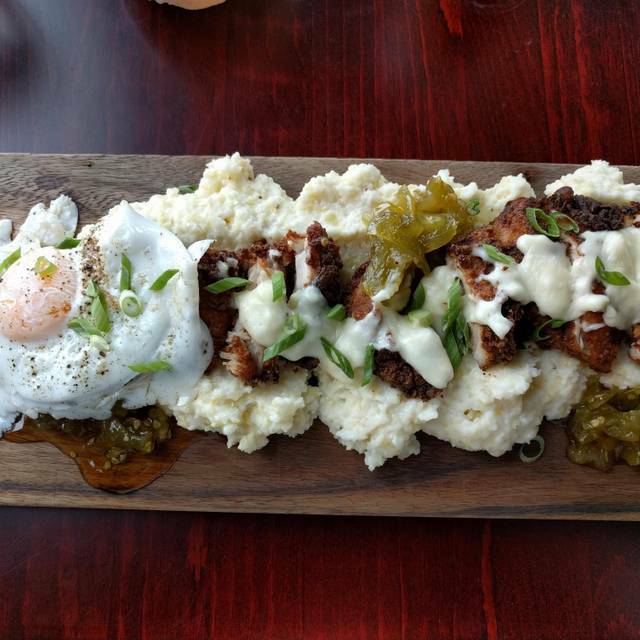 The Chicken and Grits!!! OMG!!!! The drinks we’re fresh and delicious...I will see you guys next week!!! The igloos are so cool, food was excellent, and the service was fantastic!!! Bar service was slow due to a private party downstairs- just staff appropriately next time. We'll be back. We had a wonderful meal and the service was excellent. There was a rowdy table behind us and our server apologized but it did not deter us from enjoying the wonderful food and atmosphere. Service was awful. The server forgot wine, an app and didn’t clear the table. Then she brought the check before clearing without asking about dessert or coffee! We were not happy and then comped nothing. Really terrible, on top of mediocre food. 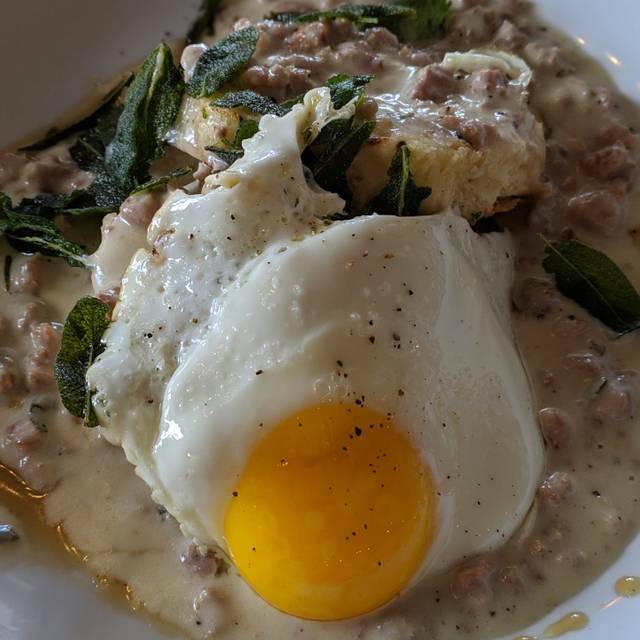 Lock 50 is the best restaurant in Worcester in my opinion. Food is consistently good! Great Menu and space. Service was great and food was delicious. It was great! Our server was incredible and she made some fantastic drinks. Also gave great recommendations on food as well as portion sizes so we knew what we were getting into! So many leftovers but well worth it! 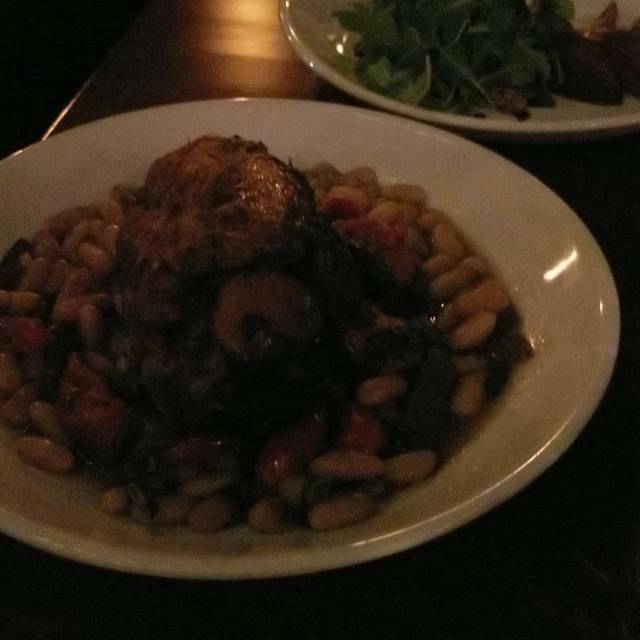 We did a bunch of small plates, and while some were excellent (Albanian Frangese is a must!) 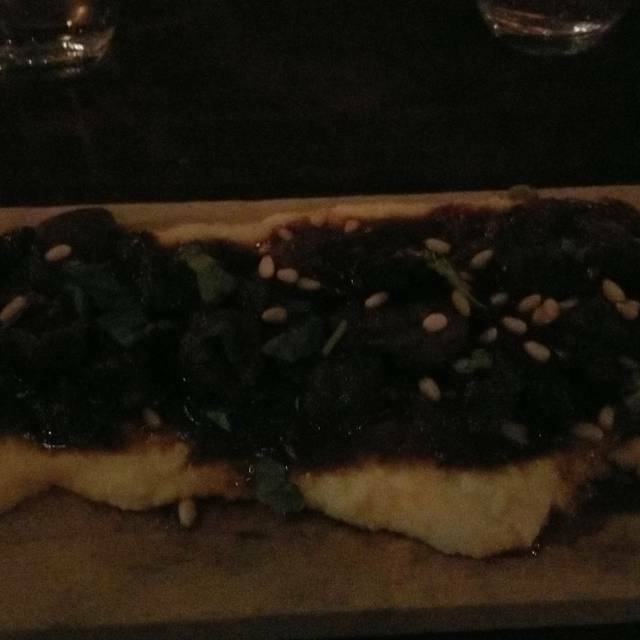 The beef carpaccio is underwhelming. The scallops were cooked perfectly, but their natural sweetness was masked. I was hesitant to try the chilled octopus salad, but I'm glad I did. Service was excellent. We loved the food, drinks, service....all of it.